Food waste is one of the trickiest but easiest-to-overlook aspects of restaurant management. Restaurants generate approximately 11.4 million tons of food waste each year in the U.S alone, according to ReFED. That’s equivalent to about $25 billion thrown in the trash annually. Some of this waste is practically unavoidable. Planning demand for certain dishes can be extremely difficult – and some ingredients just spoil faster than others. Additionally, there’s only so much restaurants can do to influence patrons’ eating habits, or to curb a propensity to order too much. Nevertheless, dining establishments all over the world have attempted to limit the amount of rubbish they produce in recent years. And according to the National Restaurant Association, 2019 is expected to be a banner year for a trend called zero-waste cooking. This is good news for online culinary students who value sustainability in the kitchen and are curious about how they can eliminate waste. While getting rid of all waste is sometimes infeasible, the purpose of zero-waste cooking as a practice is to get as close to that ideal as possible. This starts with reducing the amount of food so that you’re ideally only stocking ingredients that you will actually use and serving in quantities that will be consumed. Using smaller plates at buffets (which has been shown to reduce front-of-house waste). Purchasing smaller quantities more frequently. Properly storing and measuring temperatures for foods that spoil quickly. Crafting menus to utilize as much of your ingredients as possible. Some examples of that last bullet point might include using bones or scraps from vegetables (e.g., skins and stems) to create broths for soups. Orange and lemon rinds can be used in cocktails. Coffee grounds can be used to flavor ice cream. Some restaurants have created root-to-stem initiatives for vegetables to drastically reduce food scraps. For example, beet greens or carrot tops can be used to make a pesto sauce. Potato skins can be fried and served over other dishes. If you want to get really creative, you can draw inspiration from Asheville chef Katie Button, who roasts shrimp shells, grinds them into a powder and then folds them into mayonnaise, according to Green Matters. These tactics are easier said than done, as they require establishments to thoughtfully account for every ingredient they purchase, and then come up with inventive menus that use each of those ingredients in their entirety. But it’s not impossible. There’s no shortage of successful restaurants employing innovative methods – we highlighted just a few them in an earlier blog post. 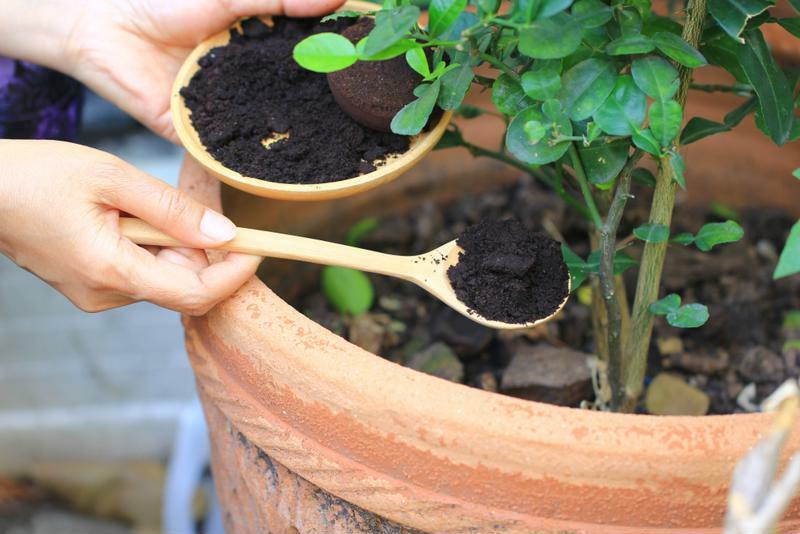 Coffee grounds can be used as a fertilizer for some plants. When there are leftovers, restaurants should attempt to donate, a.k.a. recover, them. Laws such as the Bill Emerson Good Samaritan Act help protect restaurants from liabilities associated with donating leftovers, while the 2015 Protecting Americans from Tax Hikes (PATH) Act entitles some donors to tax deductions. In situations where restaurants are left with scraps that cannot be donated, recycling can serve as a last resort. Food scraps such as rinds, leftover fats and lards, dairy products, loose leaf teas, crushed egg shells, cooked rice or pasta and more can be amassed in a compost heap and then sold off or donated to be used to create fertilizers. While it requires some thought and a little bit of extra effort, sustainability is increasingly a core value among industry leading chefs, one that we take seriously in our online culinary arts program.